We’re officially into the dog days of summer after a wet start, and now that things are heating up outside and we’re (unbelievably) hoping for some rain—it’s time to talk about snow. That’s right. 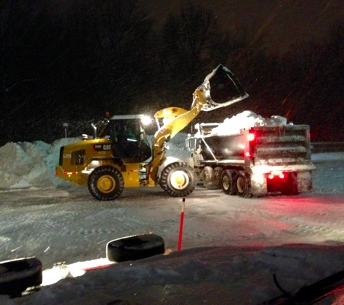 Now is prime time for securing commercial snow removal services for your Northeast Ohio property for a number of reasons. Also, by doing the snow contract legwork now, well before the white stuff flies, you’ll have time to gather estimates, make an educated decision and create a solid snow and ice management plan. So cool down this month by thinking about snow and ice—even if you’re breaking a sweat outdoors as you collect those bids. The sooner you hire a snow removal company, the better you’ll fare with pricing, logistics and all-important peace of mind that you’re covered once the weather turns in fall. 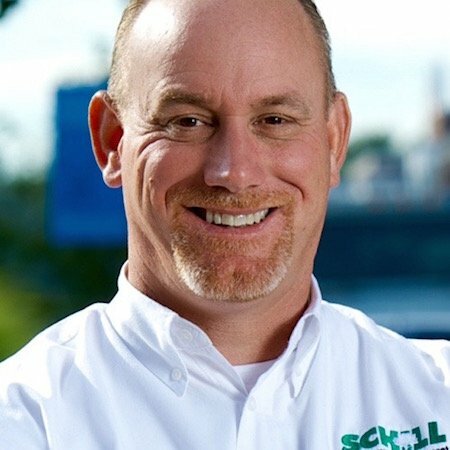 Here are five reasons we at Schill Grounds Management highly recommend hiring a Northeast Ohio snow removal company now. If you wait until there’s snow cover, identifying areas of your property that need clearing is not as easy. Also, it’s more pleasant to walk the property when it’s warm out and spend the necessary time to pinpoint potential safety hazards and areas to address as a priority during a snow/ice event. Find out what type of equipment the snow contractor will use on your property—what does the company have in its fleet? How big are the crews they send out during a winter storm? Snow and ice removal calls for heavy-duty trucks, skid-steer loaders and specialized hand-push tools. You want to be sure the contractor is prepared to handle your property’s needs. The same goes for resources like salt. Find out if the snow and ice contractor secured the appropriate amount of salt to last the winter season. Ask for a guarantee that your property will receive the ice-melting products it requires. Be wary if a contractor can’t promise that ice-melting products will be available. 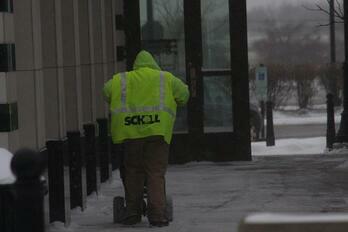 Because of significant supply and demand issues with salt, not all contractors were able to secure the lot they need. You want to partner with a company that is prepared. We don’t recommend that you gather a bid from every contractor in Northeast Ohio. By now, you’ve narrowed down the options to a handful of competitive, well-equipped snow and ice removal companies that have the resources and expertise to service your property. So spend time really vetting those few, solid options. Get full property assessments from each and find out how each firm will handle your snow and ice clearing needs. What’s their plan? (And what’s their back-up plan?) If you start this process in the summer, you’ll have more time to properly vet the contractors you’re considering. Snow and ice contractors only have so many trucks, and so much equipment. There are only so many hours in a day (and night). Capacity for clearing clients’ properties is limited. And reputable snow and ice removal firms generally have full schedules, including servicing clients who sign contracts year after year. 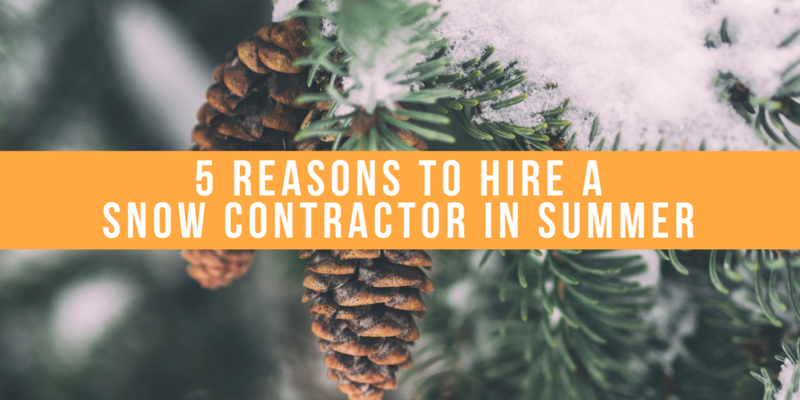 That’s why it’s a good idea to hire a snow contractor in the summer—before it’s too late to sign on with the contractor you really want. We know that snow is a given—the question is “when” and “how much.” A snow and ice management plan includes identifying: 1) potential liabilities on the property; 2) equipment and resources to deploy during storms; 3) preventive measures prior to snow/ice events. Start this process now so you can properly prepare for this coming winter. We hate to say it, but cold weather is not that far off. Let’s talk more about your snow and ice management plan, how to maximize your commercial snow removal budget, and why it's best to hire ISO, ASCA, and CSP industry certified snow removal contractors. Contact us any time at 440.327.3030, or fill out this simple contact form and we’ll get in touch with you. Hiring any service provider can be complex and challenging — but when it comes to snow and ice on your commercial property, the stakes are even higher. If you need a starting point, well, start with our guide below. Learn the right questions to ask and how to select the right winter service partner in Schill's FREE e-book, the Ultimate Guide To Hiring A Snow & Ice Management Contractor.